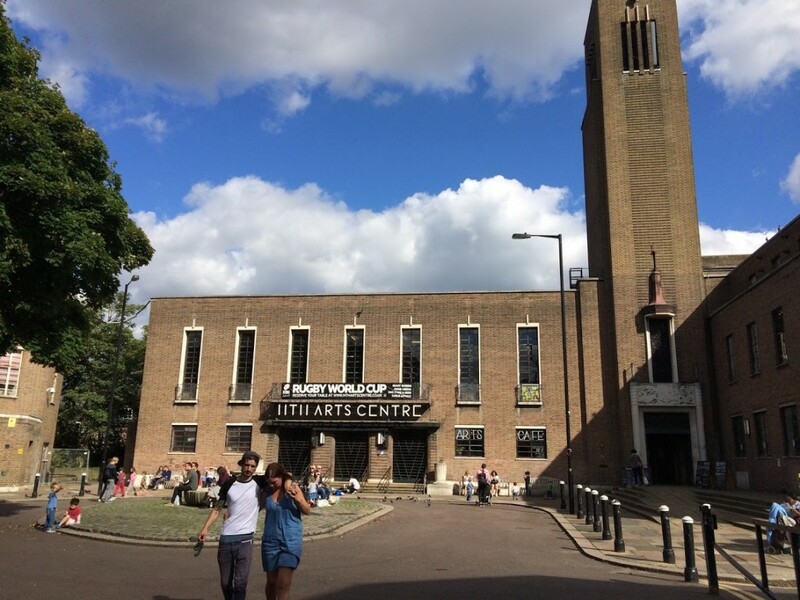 A year ago the Forum conducted a retail survey of Crouch End town centre (click here). Concerned about potential headwinds and future viability, we thought setting a baseline would be useful. So, a year on, how do things look? Well, we’re happy to report rude health. We didn’t measure footfall or profitability of course, but if the vacancy rate is anything to go by the health of the town centre remains buoyant, with the number of vacant units falling from 12 last year (a 4% vacancy rate) to 9 (3%) now. This compares to rates of 10-12% nationally. Only two units remained vacant over the full year – the ex-Arocaria Greek restaurant building (48c Broadway), and the ex-café at 16 Park Road, (a third, the ex-O Bag shop, was just coming up to 12 months). Even the long running eyesores of the shut-up ex-Bouga and ex-Spiazzo sites have wondrously managed to re-open. There’s a slight fall in the overall number of retail units from 302 to 300 in the Town Centre due to Waterstones occupying what were three separate units, though new units are on the way: on the ground floor of the old Hornsey journal building on Tottenham Lane, replacing Kwik Fit, and as part of the Town Hall development. It appears we have (so far) escaped the decline of town centres so often reported. Crouch End retail as of end December 2017. Click image for the full table. There were 28 changes during the year (9% of units), with the highest number occurring along Tottenham Lane (8 on Topsfield Parade, 5 on Broadway Parade). This suggests the rents and rates levied along the Parades are excessive – an overvaluation which explains why most of Crouch End’s charity shops are located on the same stretch (they tend to move into the more difficult to let spots). There remain few ‘undesirable’ shops, and while in comparison to Muswell Hill there are fewer ‘luxury’ retailers, the number of Crouch End bars and restaurants is 50% greater than our N10 neighbour. Here, Crouch End Cellars, Jerkmaica, Paccata Thai (and briefly Rusty Bike), Small Beer, a revamped Harringay Arms, a relaunched Alex, a very brief appearance by café Whittington & James, Bufala di Londra, La Fabrica, Miranda café, Martini Bar & Kitchen, and, amazingly, Middeys (just). We said ‘so long’ to: Fifty Five, One Bourbon Tavern, Ohba Leaf, Balkan Bites, Henry Reader, Celeste, and La Bota. Other debuts include Waterstones, David Astbury Estate Agents, a couple of salons and clinics, the Tanning Shop and Liu Acupuncture, and a couple of salons for 4 legged customers, Shop Dog N8 and Foxy Groomers. The Post Office became part of the small chain of UOE owned outlets (the unit soon to be completely revamped). If the overall number of food & beverage outlets and salons & clinics continue to grow, the other closures were more retail in nature: adiós to Muddy Boots, Lazari, Scarlet Rage Vintage, Painted Black Vintage, Factory Outlet, Beanstalk Natural, Rubadubdub, My Tailor, O Bag Store (right at the end of 2016), and Graham Fine Art. Much remained the same – the number of chains/multiples stood still (71), so no change in the share for indies. The number of charity shops (9), and estate agents (increased by one to 21), also remained constant. But clear growth occurred in two sectors: the number of food & beverage outlets increased to 73 (a 9% increase) – bars, eateries and takeaways now occupy 1 in 4 of town centre units – and the number of businesses roughly identified as hair & beauty increased to 34 (36 if you include those for dogs), a 10%+ increase. The direction of travel is unmistakeable and fits with the popular conception: the retail offer of Crouch End is narrowing, replaced by growth in the leisure and service sectors. The impact of online shopping no doubt. It would be good to hear people’s thoughts on this – is it something to resist, and do we buck the market at our peril, or should it be something to embrace? Another comparison to aid an appreciation of town centre vitality: banking and spending practices are changing quickly but Crouch End, despite its size, has managed to retain 6 banks/building societies with 12 streetside ATMs/cash machines. This contrasts with serious reductions in other areas. A quick rough count reveals 7 banks and 12 ATMs in equally buoyant Muswell Hill, but in smaller centres it’s a different story: only one bank and 2 ATMs remain in Highgate, no banks at all and just 3 ATMs in East Finchley (the Nat West closed this year), and one bank and a few ATMs in Archway. Even the larger Holloway centre has just 4 banks & building societies. What of the other headwinds we identified last year? Mostly they haven’t quite happened as yet, though 2018 will see the large (35,000 sq ft) Hornsey High Street Sainsbury’s open, while the 2017 rise in business rates has been phased – so perhaps the full impact is to come (these issues were more fully addressed in the previous post). Meanwhile, Haringey Council remain devoted to a(nother) huge expansion of Wood Green centre, with the impact upon Crouch End receiving no consideration whatsoever. We’ll see what happens. Thanks Mark, really informative. There did seem to be quite a bit of churn last year. Is there any way of knowing how well places are doing? Or overall income compared to say last year? Other High Street studies seem to concentrate on indicators such as vacancy rates (especially long term), or the prevalence of undesirable shops (betting shops, takeaways, etc.) – tests Crouch End appears to pass. Of course you end up mapping relative poverty and national economic performance as much as anything – but the drift toward leisure and services is real, and probably should receive a guarded welcome. People want to keep a varied and viable retail offer, but the coffee shops wouldn’t exist unless we used them. The danger, I suppose, is that Haringey will see this as confirmation that places like Crouch End require no attention at all – or even that we’re all as rich as is sometimes asserted. The reality is that we may not be Tottenham, but neither is it Chelsea. The picture is much more varied, the outlook differing depending on who you ask – perhaps the question should be “is the potential being met?”. Why,- it maybe that the very things we need are a hotel and an arts centre. Perhaps the arrival of UOE to run the Post Office is worth emphasising. Here a huge unwieldy non-responsive chain (the Post Office) has been replaced by a a much smaller, more nimble group, The layout of the store has not changed much yet, except to get rid of the slow cumbersome “self service” machines which really did not match up to their name, but we are promised further improvements. And we already have much extended opening hours. All to the accompaniment of knee jerk , political party orchestrated opposition. It is a fascinating study that brings both insight and questions. Personally, i do most non-food shopping online but do use all four supermarkets in an almost daily basis (the last time i did an online food shop – when i was recovering from surgery – i managed to order a single banana but two bottles of Baileys (somebody’s doing alright ). I do love the diverse nature of the shops we have in Crouch End and hope that diversity survives. I also agree that we do need to remind Haringey that Crouch End is not without its needs. We are not Tottenham or Wood Green but there are people who are struggling and areas that need investment. I find the decline in retail offering in CE a cause for concern. If one begins to close, the others will soon follow. I do wonder if there is anything the Forum could do to help attracting small businesses to open actual shops in CE – perhaps lobbying for reduction in business rates, introducing loyalty scheme to encourage residents to shop locally. I appreciate a lot of people shop online these days but I think there is still a genuine demand for high street shops offering a more human and personal experience. In a world redolent of independent shops, a rather depressing post from the Crouch End Appreciation Society “Does anyone know when the new Hornsey Sainsbury’s superstore opens? TIA”. Unless I have completely misinterpreted the questioner’s motives. Apparently the answer is Feb 14th, which is the very day I plan to start not going to Sainsbury’s in Hornsey. I had to look ‘TIA’ up. Apparently it means Transient Ischemic Attack. Makes you think. Thanks In Arrears for your careful research, Mark. 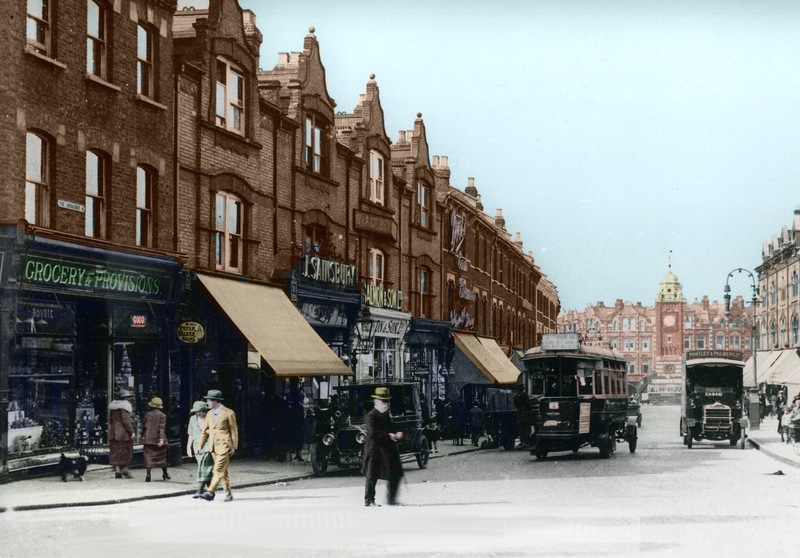 We have been in Crouch End as a buisness over 60 years it is so sad to see the small businesses edged out by the large multiples,personally We refuse to use Chaineys but we are in the minority.Support your locals or lose them. Actually the piece concludes that we’re losing diversity with the retail offer narrowing, and identifies hair & beauty as a big growth sector. It obviously continues. Yes we are certainly losing diversity and I am really unsure what could be done to bring it back. We lost a lot of shops in the last 2 years – Cult, Fenella, Lazari, Scarlett Rage Vintage, O Bag and the other vintage shop near the Alex. In compariosn we have only gained Waterstones and Cassius and Coco. Meanwhile, Muswell Hill seems to be doing quite a bit better in terms of shops, but not so well for bars, cafes and restaurants. 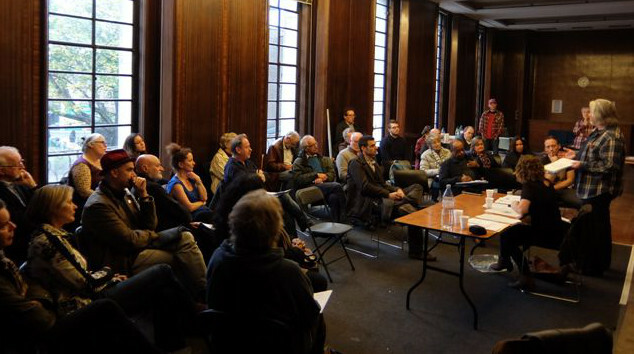 The issue for Crouch End may well be complacency – we still have the pubs, the banks, and the coffee shops seem okay. But should we be asking what can we do to keep the forces of High Street decline at bay? (and is the pro-walking and cycling Liveable Neighbourhoods thing the answer?). Many’s the time I’ve wandered down the Broadway thinking, “if only this were more like old Calcutta”, and “surely every Martinmas should see wagons full of wild beasts hauled by elephants”.